Praise is beautiful and fitting! Thank you for such good things to think on tonight! God bless you! 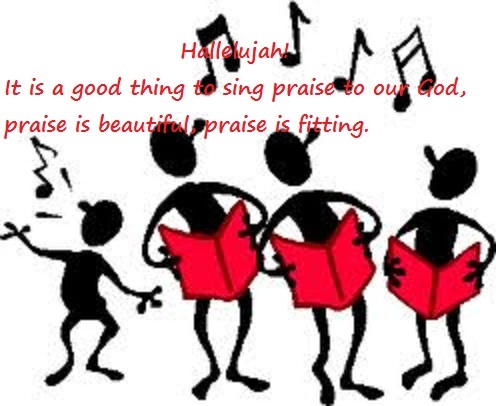 It is good to sing praises–I love it that the Lord likes our “joyful noise”. Good thing, too, because my singing is definitely noise.